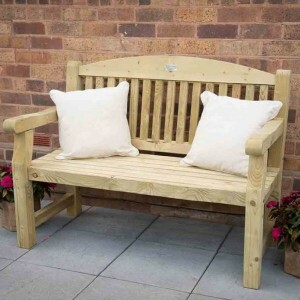 Every garden should have a place sit and a garden bench is the most common seating found in British gardens as they are comfortable, easy to install and available in a wide choice of sizes, materials and styles so that you can get something to suit your garden decor. 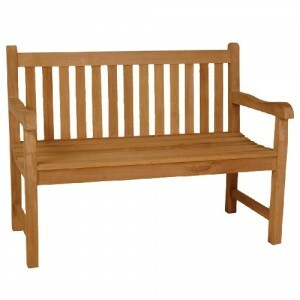 Garden Oasis have a large range of different benches manufactured from timeless teak to ornate iron, in sizes that will seat 2, 3, 4 or more people. 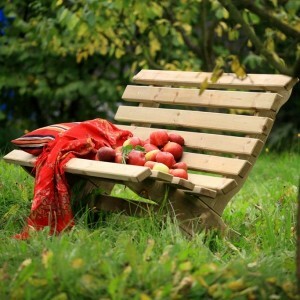 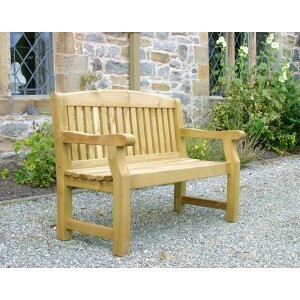 So whether you have a modern urban garden or a traditional cottage garden, you'll be sure to find the right garden bench and always at the best prices available. 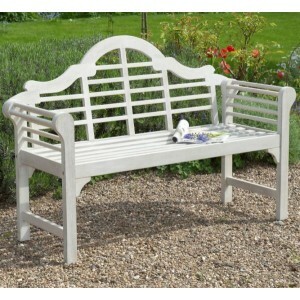 The Garden Oasis range of garden benches are available with FREE UK home delivery! 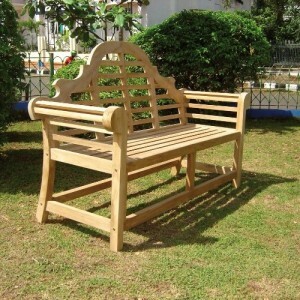 Dimensions: 180cm L x 60cm D x 92cm H , Weight : 34kg.. 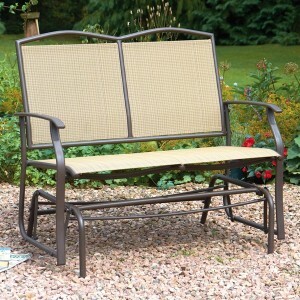 The attractive 2 Seater Glider Bench from Greenhurst is made from mild tubular steel with a bronze p.. 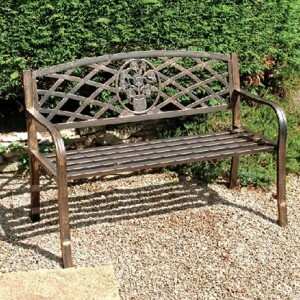 This charming 2 seater ornamental garden bench with antiqued bronze finish will be a decorative f.. 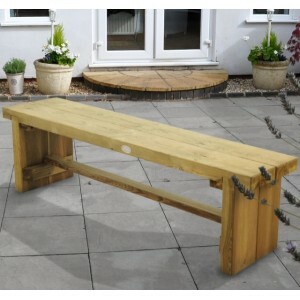 The Lucy Planter Bench by Zest is an attractive piece of garden furniture designed to provide seatin.. 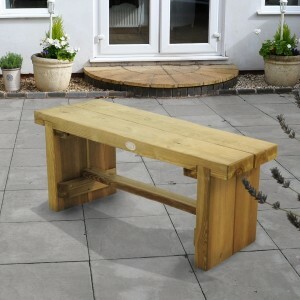 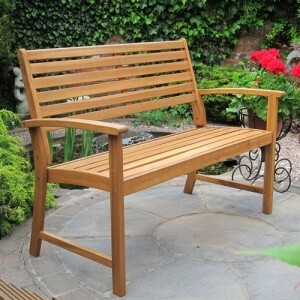 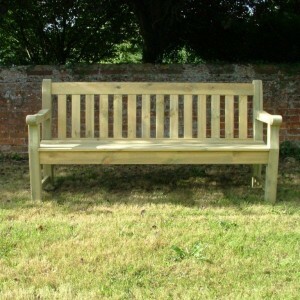 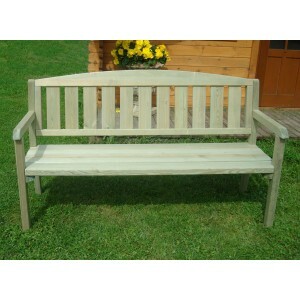 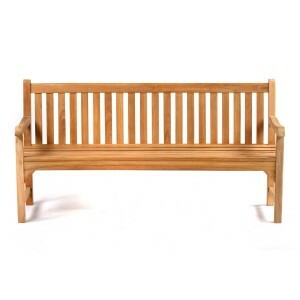 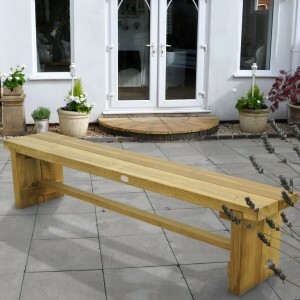 The Lutyens Hardwood Garden Bench with its outstanding traditional design means you can relax in s.. 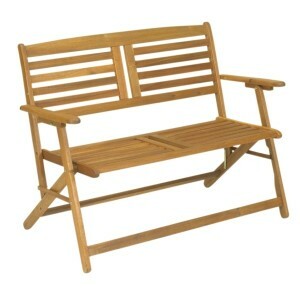 The Miami Swing by Zest is the ultimate garden relaxation product and provides a comfortable and pe..